About 100 gardeners waited in the rain on a cold Saturday morning waiting to enter the closed building to discuss the future of our gardens and how to fix the on-going water issue, little did we expect what happened. 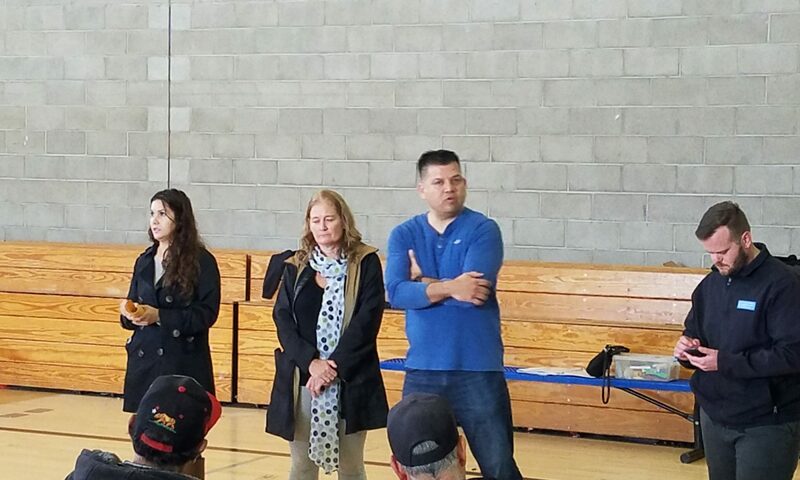 The meeting presenters were Maria from Lot to Spot, Carlos, Julie Beals from the Los Angeles City Garden Council (LACGC), and representatives of Councilman Joe Buscaino’s office, Ryan Ferguson who is the Field Deputy to San Pedro and finally Jacob Haik who serves as Deputy Chief of Staff to the office. The unexpected water shut-off by sanitation. The 2-day a week watering schedule is back to normal again. The garden is not accepting new gardeners until the garden issues are fixed including water. Addressed the issue of sexual harassment in the garden. This behavior will NOT be tolerated and will result in garden revocation. Mandatory vote initiated by Reps Jacob and Ryan on the future of the garden. Install an additional meter (separate from sanitation) only for gardeners use. Installation would be provided by the LA sanitation department. The allocation of respective water costs to gardeners would be uncontrollable or predicable. 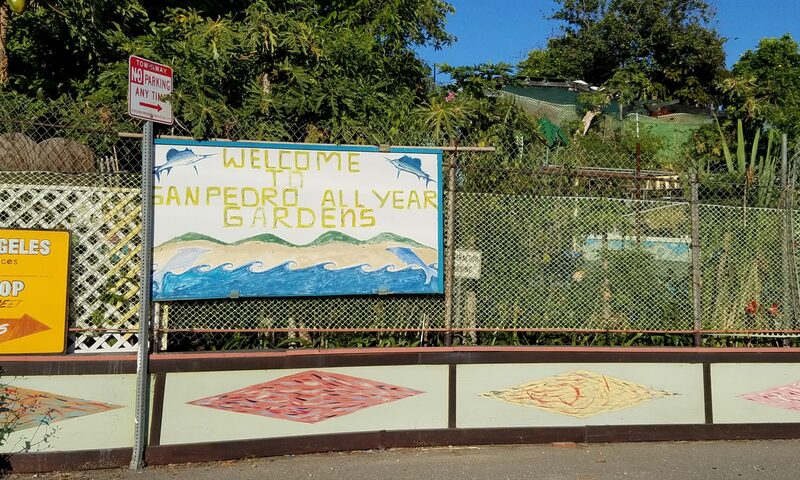 The City of San Pedro will close down the garden, renovate it up to city standards with proper landscaping and individual water meters and re-open in 1 year (March 2, 2020). The vote made it official to close and renovate San Pedro All Year Community Gardens (SPCAYG). According to Rep Jacob Haik’s statements which include, “it will re-open within 1 year”, or around March 2, 2020. “Everyone will have to reapply for their gardens” based on San Pedro residence. Some of the improvements will include better walkways and water meters provided to accurately charge gardeners. This is an unofficial closing as the City will have to notify every gardener in writing of the garden closure or post a public notice to inform every gardener of what has happened and the garden will be closed for renovations. Don’t let this stop you from continuing your gardening. Keep going to the gardens and growing your organic fruits and vegetables. The city will take some time to get this done correctly. If you are unhappy with the City of San Pedro, do something! If you would like to add or request a correction to any information you can leave the correction in the comments.